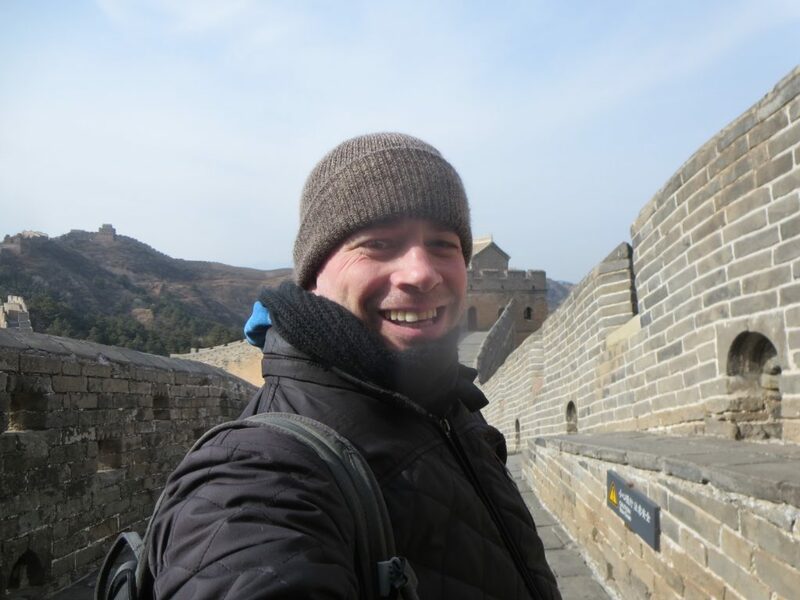 Well, a visit to Beijing is not complete without a trip to the Great Wall, now is it? 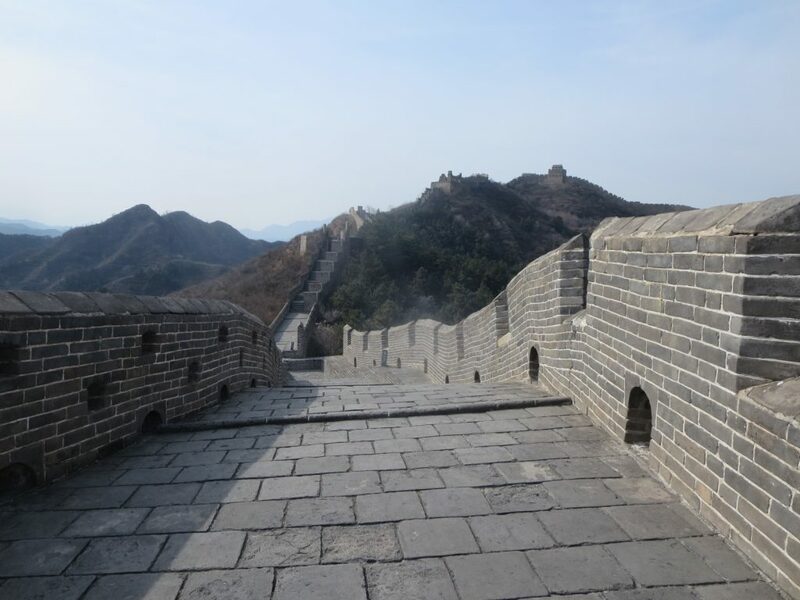 There are different sections of the Great Wall you can go to as the entire wall is thousands of kilometers long. 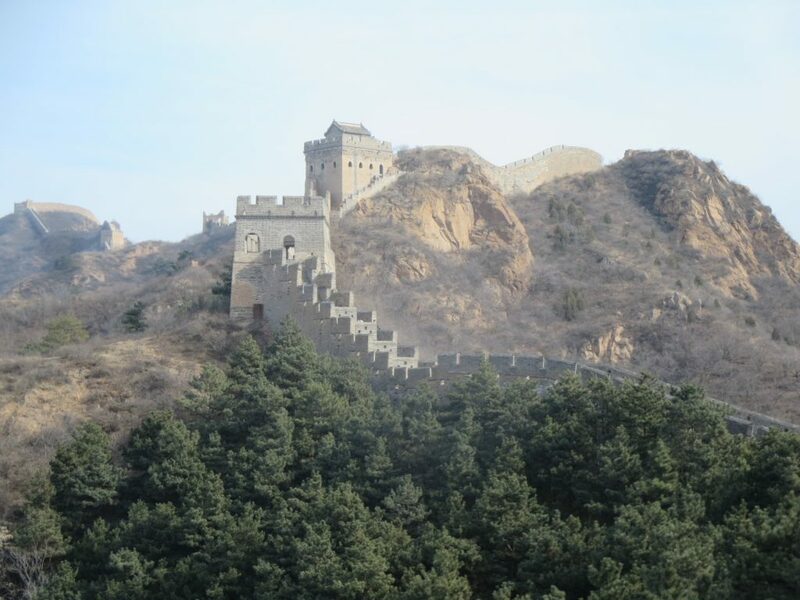 The closest part and, not surprising, most popular section is the Badaling section. It’s where most of the tourists venture off to and it’s crowded with vendors everywhere. 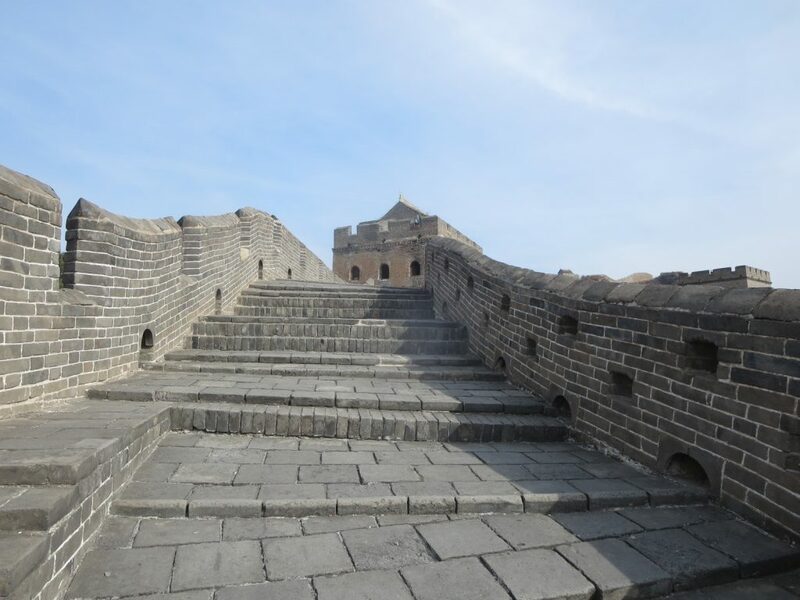 I chose a tour going to one of the further sections of the wall – Jinshanling. 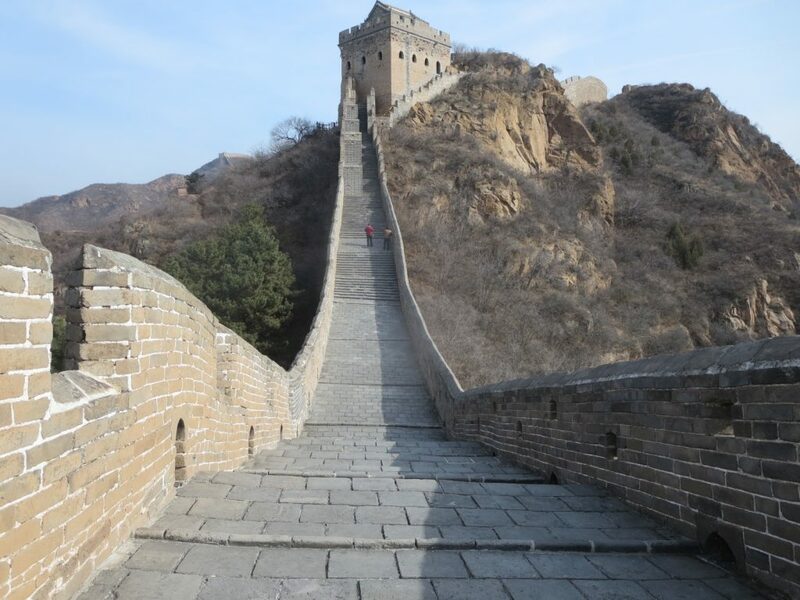 The Jinshanling section of the wall is 3 hours out of the city but the trip is well worth it and our little tour group of 7 were literally the only people walking on the wall. Yup, we got the whole wall to ourselves! No stupid tourists getting in the way of the 100+ photos I took today! Anyway, I booked the tour with my hostel at a cost of 300yuan ($60). We were picked up at 8:30 and myself, my two roomies (Danika and Keaton), a french son and his parents and a girl from another hostel were on our way. 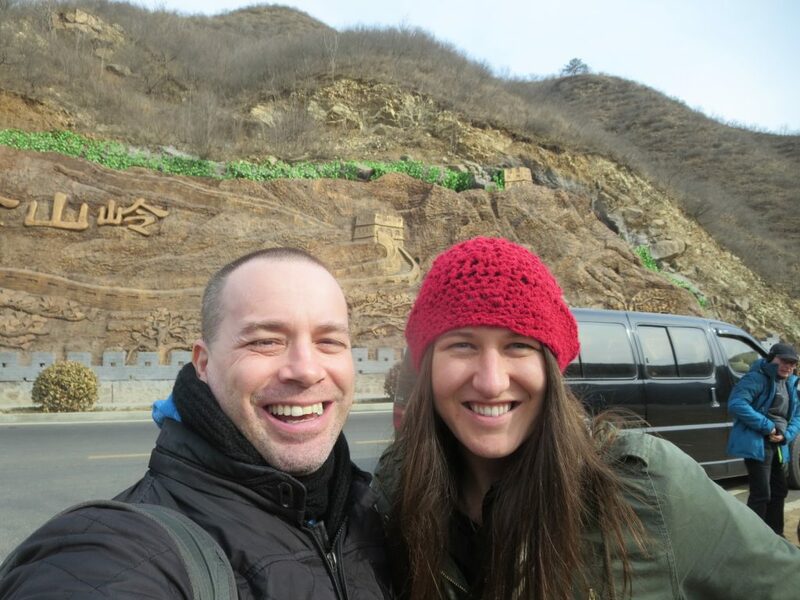 The 3 hour van ride up to the Great Wall passed by quickly as Danielle, the girl from the other hostel, and I chatted non-stop about all the adventures we had previously been on. 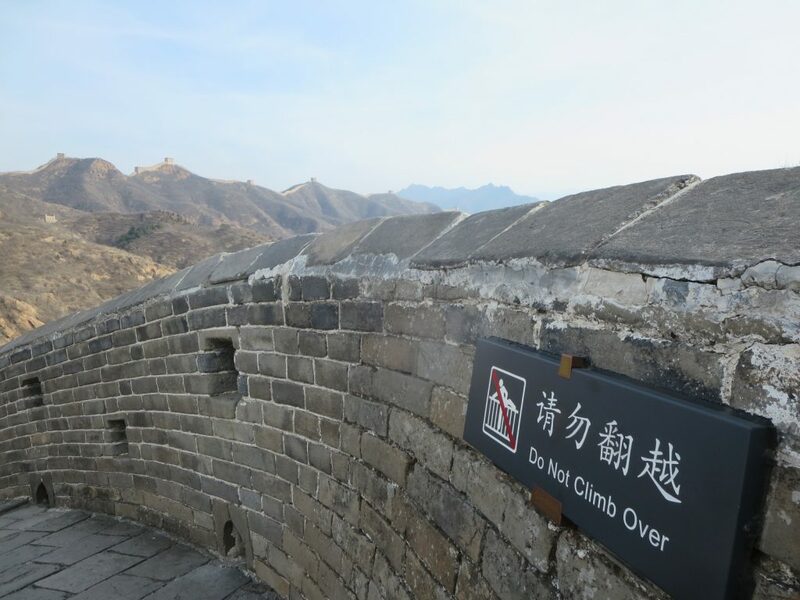 Danielle, a girl from Cleveland, is visiting China for a month going from Beijing and working her way down south visiting the little villages and towns along the way. It was awesome chatting about all the things we had experienced as some of them overlapped. Honestly, telling stories and reliving adventures like going to a bullfight or making a crazy and profound decision really got me to remember all the great times I’ve had along the way and it definitely gets those travel juices flowing. So, yeah, meeting Danielle was pretty awesome and a great way to spend three hours on the van there and another three hours back. 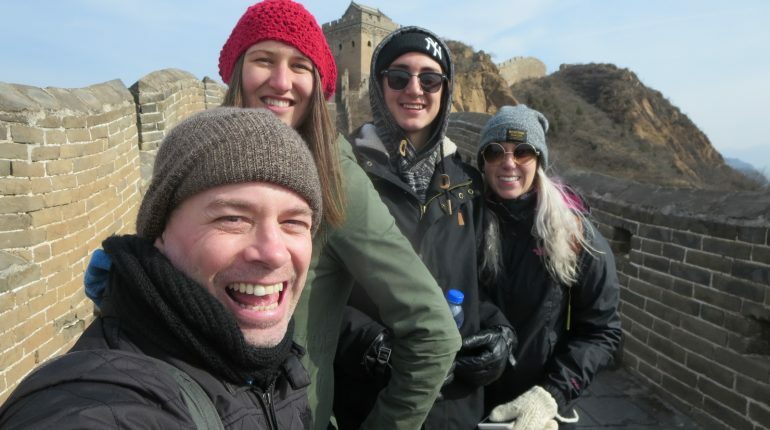 As for the Great Wall, well, we arrived around noon and were given 3 hours to hike to an exit tower 6km away where our guide and driver would be waiting for us to take us home. When you’re on the wall you can’t but just stare at its’ immensity and beauty. 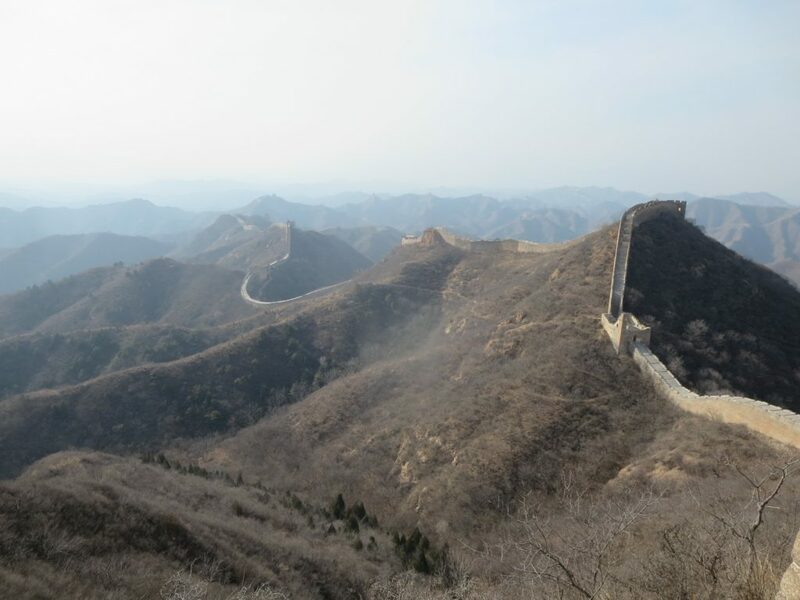 Our 6km hike was just a drop in the bucket of the entirety of the wall. Please note: It’s hard to blog and upload here in China so there’s a few photos here and I’ll upload the rest when I get back home. The hike itself was not for the faint of heart and considering how much I was hobbling on my wonky leg at the end of my last trip, I was pretty damn happy to be able to tackle this arduous hike. Not only was it 6km but those kilometeres were over steep inclines and declines on uneven steps. At 3:30 we headed back to Beijing and arrived just before 7pm. 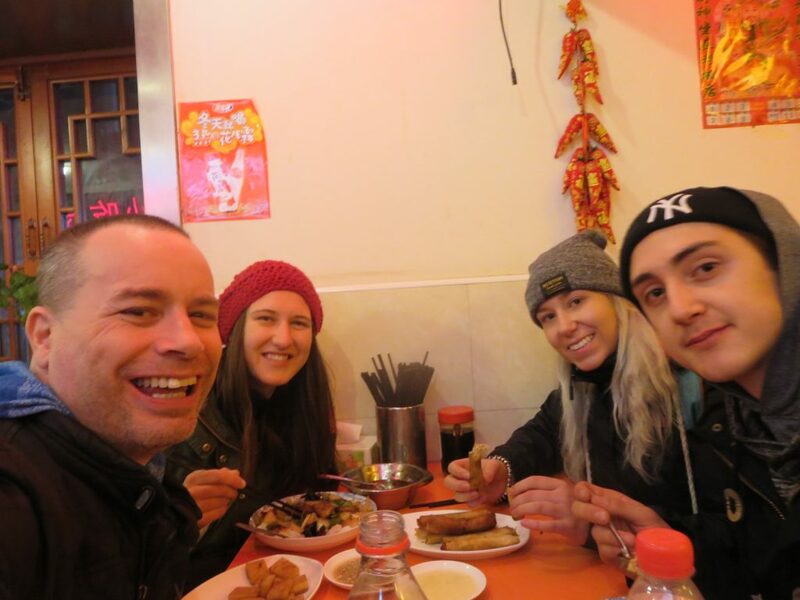 Danielle, Keaton, Danika and myself headed down the street to a Chinese restaurant we passed by last night for some dinner. The place was packed full of locals so that was a pretty good sign of a good dinner to come. I ordered springrolls, munk filled pastries and pork fried rice for 58yuan ($12). Just like back home but just a little bit better, cause, well, I’m in China dammit! Danielle and I made plans to meet up tomorrow afternoon to do a couple of things and then she left to go to her hostel. As for me and my roomies, well, after we each took a long and much needed shower, they crashed around 9:30 and I stayed up just a wee bit longer to put together this blog. Pretty awesome. 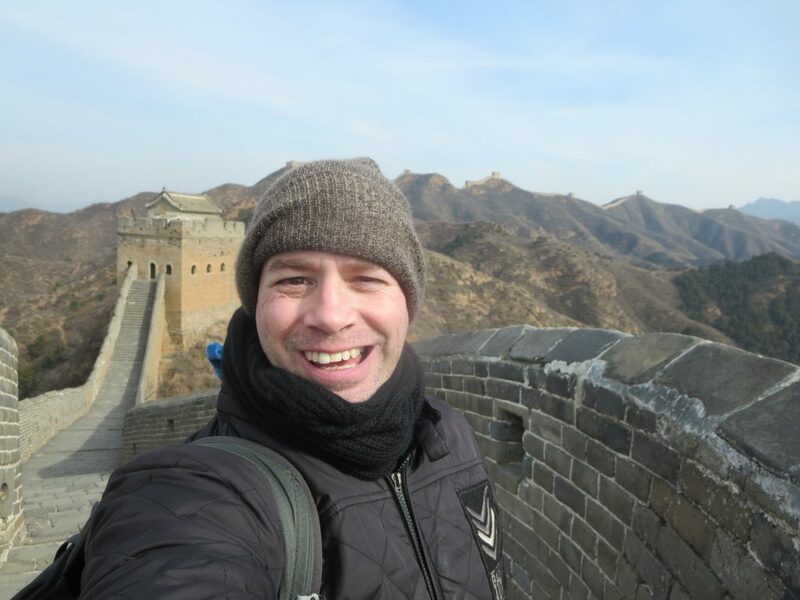 Seeing one of the great wonders of the world and meeting up with an adventure buddy.